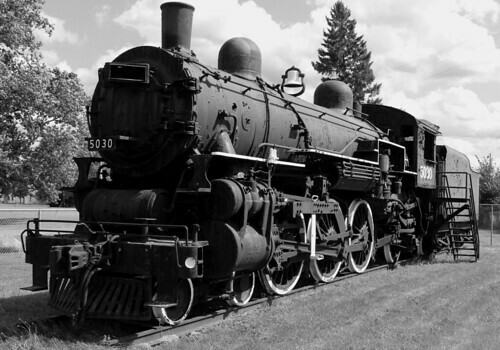 Steam locomotives have been making a very aggressive comeback and return to the public in recent years, however there is one that has a bit more history to it than Nickel Plate Road #765, or Norfolk and Western #611, and she has been long forgotten about in modern times. GTW 4-6-2 Pacific #5030, had a mission. In June 1923, she was on the lead of a Knights Templar special from Grand Rapids to Flint. Near Durand, Michigan, she encountered a split rail due to poor ballast conditions, and rolled over, killing the engineer and fireman. After she was rebuilt, she made many trips to Jackson and Bay City, and was put on display in 1958, and has since been the victim of serious neglect. We hope to her that once proud whistle sound again.